I've never understood people who say they don't believe in coincidence. A coincidence is a remarkable concurrence of events or circumstances which have no apparent causal connection with each other. Like the infamous poster on the wall of of Mulder's office in X-files, I want to believe. 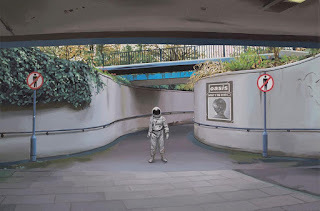 For example I got the latest newsletter from StolenSpace regarding a new show by London Police, which doesn't fit with this but I read on and exhibiting alongside them is an artist I hadn't heard of before now*, Scott Listfield. What happens next will blow your mind! Ok it won't, but it's interesting. I recently purchased a ten year old Billionaire Boys Club sweatshirt, from Season 0 so a grail if you will. If you are unfamiliar with the logo on this sweatshirt, peep it below. 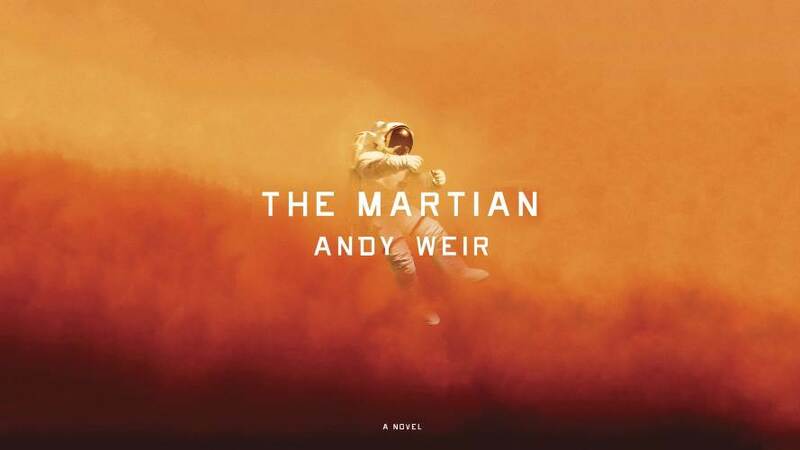 Then I began reading The Martian by Andy Weir. I'm very close to finishing it now and it's been one hell of a ride. I will have finished the book by the weekend and I'm eager to see the film adaptation. Yesterday DJ Shadow revealed the official video for the title track of his new album The Mountain Will Fall which features, you guessed it, an astronaut. ‘An American Astronaut in London’ will be the American artist's inaugural solo show at StolenSpace Gallery in the UK. 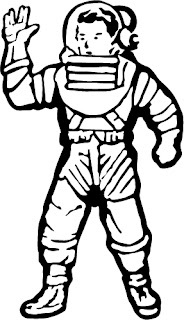 As such, this new series of work sees his astronauts explore the city of London. Scott Listfield is known for his paintings that feature a lone exploratory astronaut, lost in landscapes which are cluttered with pop culture icons, corporate logos, and tongue-in-cheek science fiction references. For the last fifteen years Listfield has exhibited his oil paintings featuring the astronaut as the protagonist in solo exhibitions throughout America. Having been heavily influenced by British culture in the 1990s, Scott plays homage to this time in his life using British urban landscapes as his backdrop and referencing iconic British music; Pulp, Blur, The Stone Roses, and the Spice Girls to name a few. Using his astronauts, he takes us on an alternative journey through the streets of London, creating a strange world of the familiar yet surreal. Growing up in the late 70's and early 80's I loved anything to do with space, I coveted the NASA logo and remember even having a commemorative patch on my boy scout shirt. The fact he has an article on the NASA website is just too cool and you can read it HERE. I also loved dinosaurs, the Dinobots being by far my favourite Transformers. 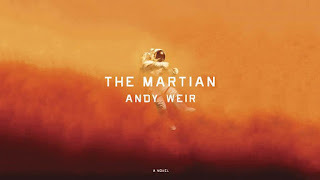 The astronaut in his work resonates a great deal with me not only because of my childhood but also as an American living in the UK, and as someone who suffers from depression and anxiety. Feeling alien within your environment as well as within yourself is something I've dealt with for the last thirty years. With this of course comes a vast amount of personal discovery and cultural exploration along the way. Although I can't make the opening tonight, the show runs until the end of the month which gives me plenty of time to make the short trip to East London. I'll probably hop on a bus, no need for a space shuttle. *So it turns out he had a piece called Underground in the group show LAX/LHR this past September, but I really don't recall having seen it.